College students and graduates weighed down by crushing student loan debt can expect a little help in repaying those loans with the forthcoming expansion of the Pay As You Earn initiative. President Barack Obama is set to issue an executive order today that would allow more students to take advantage of a federal program in which students who borrowed federal direct loans can cap their loan payments at 10% of their monthly incomes, Reuters reports. The new order would extend the program to students who borrowed before October 2007 or those who have not borrowed since October 2011. Officials say the expansion would help up to 5 million additional borrowers when it takes effect in December 2015. With tuition costs rising by an average of 6% each year over the last decade and students graduating with an average of $29,000 in student loan debt, which can prevent consumers from making big purchases in the future, it’s no wonder the government is looking for ways to alleviate the burden by expanding payment programs. However, as Consumerist reported in April the debt forgiven by government programs has added up more quickly than anticipated. At its current rate the Pay As You Earn plan is expected to reach $14 billion next year, exceeding government expectations by 90%. Monday’s executive order is just the latest measure government officials have used to alleviate the burden of student loan debt. 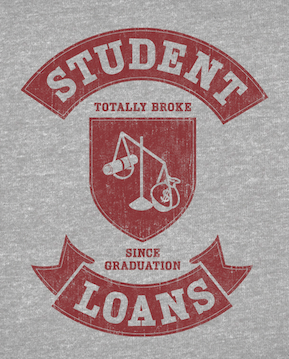 In early May, Massachusetts Senator Elizabeth Warren introduced the Bank On Students Emergency Loan Refinancing Act that would allow federal and private student loan borrowers to refinance to rates set for first-time borrowers – approximately 3.86%. That rate was set last summer by legislation that tied student loan interest rates to the yield rate on 10-year treasury bonds. While that change ensured that new borrowers are getting very accommodating interest rates, it didn’t do anything to deal with the more than 1 trillion dollars in student loan debt that is currently on the books for around 40 million Americans. However, Reuters reports the bill is unlikely to overcome stiff opposition from legislators who say it would come at too high a cost for the government. Are Student Loan Forgiveness Programs Just A Free Pass For Grad Students With More Than $100K In Debt? why are you taking my money?